Richard Tawney was born in Calcutta, India, in 1880. He was a student at Rugby and at Balliol College, Oxford, obtained a degree in modern history. After university he worked at Toynbee Hall and in 1905 joined the executive committee of the Workers' Educational Association (WEA). Tawney lectured at Glasgow University between 1908 and 1914 but continued to work for the WEA. Tawney held several senior posts in the organisation including vice-president (1920-28) and president (1928-44). A member of the Union of Democratic Control in the First World War, Tawney became a lecturer at the London School of Economics in 1917. Tawney continued to take a keen interest in politics and was a supporter of the Popular Front government in Spain during the Spanish Civil War. Promoted to professor of economic history in 1931 he was also a member of the University Grants Committee (1943-49). 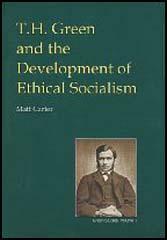 Tawney, a Christian Socialist, wrote several influential books on education, politics and economics. The most important of these being The Acquisitive Society (1921), Secondary Education for All (1922), Education: the Socialist Policy (1924), Religion and the Rise of Capitalism (1926) and Equality (1931). Richard Tawney died in 1962. (1) In his book, Father Figures, Kingsley Martin described his great friend Richard Tawney. No one could demolish humbug so neatly, nor put a positive case more eloquently. He wrote in the finest classical English and used to say he could not write at all until he reached boiling point. He was also a magnificent journalist, who had served an apprenticeship with Beveridge, his brother-in-law, as an editorial writer on the Morning Post in its less Tory period. In my day he was still writing on education in the Manchester Guardian. I still remember some of his leaders after nearly half a century. For every man who a year ago knew and said that the Peace Treaty was immoral in conception and would be disastrous, there are thousands who say it now. Though there seems little to be said about the Treaties which has not been said already, it is nevertheless of immense importance to let public opinion abroad realise that the heartless and cynical politicians who negotiated them do not represent the real temper of Great Britain. woman to stem the last desperate offensive of the enemy against Catalonia. The determination of the Spanish people to resist is as great as ever, and its troops are successfully counter-attacking in the south. It has now become clear that the Republicans are facing an overwhelming weight of arms, troops, and munitions accumulated by Italy and Germany in flagrant and open violation of their undertakings under the Non-Intervention Agreement. At least five Italian divisions with complete war material form the spearhead of the rebel advance in Catalonia, in Rome not only is this fact openly declared but the official 'Diplomatic Bulletin' announces that this aid will be increased as much as necessary. Republican Government is to continue to be deprived of its right to trade and purchase arms and has loyally fulfilled its undertakings by withdrawing every one of its foreign volunteers, under supervision of the League of Nations Commission, the right has been recognised of the Italian Government to pursue military intervention in defiance of its repeated pledges. British policy has been declared again and again to be "to enable the Spanish people to settle their own affairs', yet now non-intervention has become a weapon by which Mussolini is to be allowed to impose his will on the Spanish people while Britain and France tie their hands. Since, as seems implied by the results of the Rome visit, Mr. Chamberlain now admits that nothing further can be done to get the Italian divisions out of Spain or to prevent further Italian intervention in the degree Mussolini considers necessary, there is no possible basis in law or justice for preventing the restoration to the Republican Government of its right to purchase the means for its defence. The embargoes must be lifted and the frontiers opened by Britain and France forthwith.